Loneliness is a huge problem among older people here in the UK. As we have an ageing population, the number of people suffering from loneliness is on the rise, and this can cause several health problems. Therefore it’s important to try and maintain a good social network as you get older. Today’s post will firstly look at the dangers of loneliness, before moving onto some tips on how you can maintain a strong social network. Being lonely and isolated can raise the risk of heart disease by 29% and a stroke by 32%. Loneliness can be deadlier than obesity, with one study suggesting that lonely people had a 50% increased risk of earth death, compared to those with good social connections. This was compared to an increase of around 30% before the age of 70 from obesity. Being lonely can increase the risk of dementia by 64%. It’s a problem that doesn’t seem to be going anywhere soon, especially as our population continues to age. According to the Campaign to End Loneliness website, 17% of older people are in contact with family, friends and neighbours less than once a week and 11% are in contact less than once a month. They also say that around 51% of people over the age of 75 live alone. Fortunately, there are things that you can do to help maintain a strong social network as you get older. Here’re five suggestions to help you. Communication is the key to beating loneliness. If you have friends and family in the local area, it’s important to communicate as often as possible and to try and arrange catch-ups with them. A strong social network is one that includes several events and catch-ups. Invite your family round for Sunday Dinner every other week. Arrange a weekly meet-up with friends at the pub, perhaps for the quiz night. Offer to look after your grandchildren on the weekend. If you’re a football fan, arrange a game in the evening or go to the local match with your friends. These are just a few suggestions and, of course, you probably have many more ideas that are based on the interests of you and your loved ones. Loneliness only begins to be a problem once communication has slowed down… so keep in touch as often as you can. If your family or closest friends have moved away and communication is rare then you should try and embrace social media. More older people are creating accounts on websites such as Facebook and Instagram, with the number of over 75s using social media doubling between 2016 and 2017. Facebook allows you to add your loved ones as ‘friends’ on your profile. Doing so will mean that you can message them by using Facebook’s instant messenger, see their uploaded photographs, comment on their photographs and status, and generally keep up with what they are getting up to in their lives. Skype can arguably combat loneliness further as it offers international video calling. By having Skype on your computer, tablet or mobile phone you will be able to speak to and see your loved ones, no matter where they are in the country or world. In the last few years, Skype has also managed to crack the multi-video call service, which means you can connect to several friends at the same time – all from the comfort of your sofa. If you’re looking for a nice photograph of your loved ones, Instagram is the way to go. This app, designed specifically for mobile and tablet use, is all about uploading photographs to your personal profile. Any photos that you take on your phone can be uploaded to your Instagram account. You can also edit your photographs with the use of special filters. Once your photograph has been prepared, you can add a little comment which will appear beneath the upload. Read more about your social media options. We already know that taking up a new hobby, especially sporty ones, can be good for your physical health. They can, however, also help to boost your social network. Plenty of hobbies will involve you getting out of the house and to a local leisure centre, learning group or sports team. By doing this, you will be meeting plenty of new people who have an interest in common with you. Not only will you have gained a place to be once or twice a week, but it’s highly-likely that you’ll make new friends and organise other social meetings outside of the hobby. Inside the house, you may want to think about giving video gaming a try. By playing online, either on your computer or games console, you can also connect with your existing friends and meet new friends who you like to play with or against. In 2014, The Telegraph reported that one in four people over 55 had a games console in their home. Take a look at our top 10 hobby ideas for older people. If social media isn’t your thing, then picking up the telephone is the next best thing. After not seeing somebody for a long time, it will feel so good to hear their voice once again. One phone call can go on for hours as you have a nice catch-up with your friend(s). A good tip would be to schedule weekly phone calls with your loved ones so that you don’t forget and always have it to look forward to during the week. If you don’t have a mobile phone yet, it’s time to get one as landline telephones are being phased out of production. If you and your loved ones have an iPhone, we suggest giving Facetime a try. This is Apple’s version of Skype and will allow you to video call your family and friends, no matter where they are in the country. 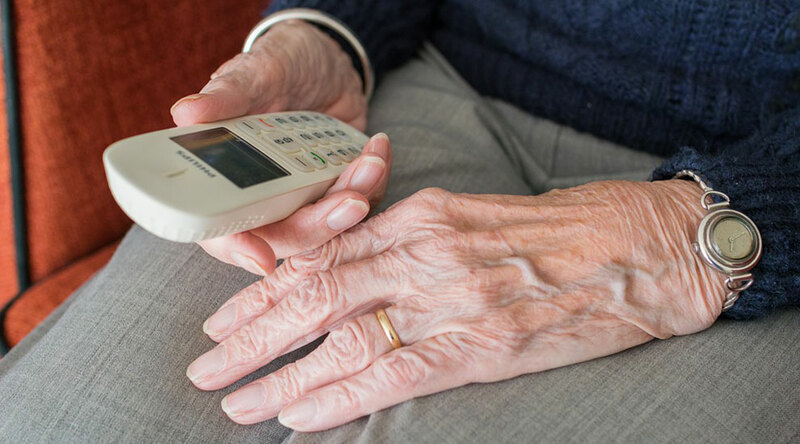 Find out more about mobile phones for older people. If you don’t own a vehicle or struggle with walking due to health conditions, you may find that reaching out and visiting your social network is difficult. However, there are plenty of travel benefits that are available for older people. Once you turn 60, you are eligible for a free bus pass and can travel for free on local buses. For those of you living in London, the Freedom Pass will grant you free travel on buses, trains and the Tube network. Getting to your loved ones who have moved away for work or university can also be made a little easier, with the Senior Railcard. Having this discount card will give you a third off the price of all standard and first class Anytime, Off Peak and Advance fares. You can purchase a three-year card for £70. If you prefer coach travel, National Express offers a Senior Coachcard for those of you aged 60 and over. It costs £12.50 and offers a third off your travel throughout the year. Find out more about the benefits available to older people. Of course, maintaining a strong social network also means that you will feel much safer in your own home. It’s great knowing that you have your neighbours, friends and family to call upon if you need them – and that they are always thinking about and looking out for you as well. 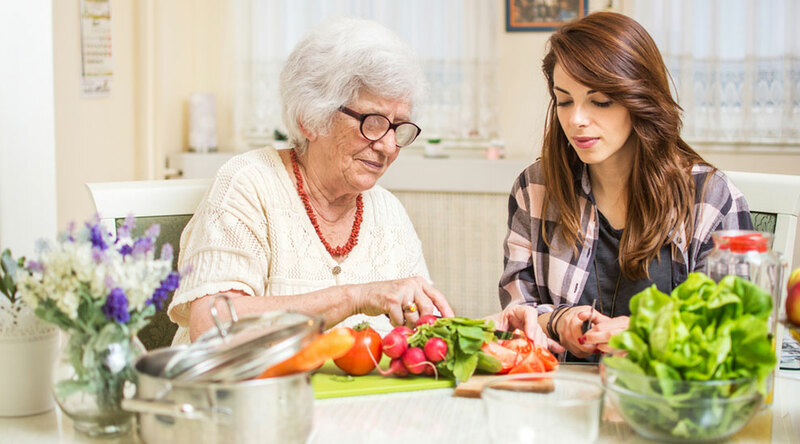 Have a read through our top tips to staying safe at home post to see how you can look after yourselves.